Camp DIVA is Almost Here!! YOU REALLY DON'T WANT TO MISS THIS SPECIAL EVENT! 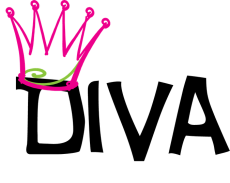 Camp DIVA is next weekend, October 23 and 24th! Our theme is "Re-purposing". We will be learning how we can take our gifts and talents and re-purpose them for the Lord! We are SO excited about our guest speaker, Juli Tapken! Juli is an incredible christian inspiration who has re-purposed her gift of acting into a way to teach others about Christ. She has starred in several christian movies, including "Surrender", which will be shown at our drive in movie event on Sunday, October 18th, at the land near our church, at 6:30 pm. Attached is a link to a clip from the movie! Check it out! Cost is $60 for both days or $15 for just Saturday. Find out your Spiritual Gift! One of the focuses for our retreat will be learning how we can take our spiritual gift and use it to further our walk with the Lord. "Every child of God is filled with the power of the Holy Spirit, specially gifted to play a unique and valued role in the body of Christ. No one is without gift or purpose. Please take a few minutes to take this short "test" to find out what your Spiritual Gift from God really is. We will be learning more about our gifts at Camp Diva! -PS: There are no right or wrong answers!! Just click on the blue "www.umc.org" below and then click on "Begin Assessment". Please see one of the DIVA Team members on Sunday, give one of us a call, or email Becci at Church if you have any questions. Let us know if you would like to meet at the church on Friday at 4:45 and ride up together!